For something that blights the lives of between 50 and 125 million European citizens it is strange to discover that there is no EU-wide definition of ‘energy poverty’, writes Adrian Joyce. Adrian Joyce is campaign director at Renovate Europe. From the elderly dying alone in winter to middle-aged workers with respiratory diseases and children struggling with asthma, energy poverty is a ghastly burden on the poor, and on us all. Heat-leaking buildings are the greatest single contributor to global warming, responsible for around 40% of our CO2 emissions. But their cost is felt first and worst by the poor. Fuel penury is an unjust hangover from a legacy energy system, delivering the highest rates of excess winter mortality rates to countries with the poorest building stock. The EU recognises the problem. Its electricity and gas directives mandated all 28 EU nations to define what energy poverty is – and who it affects – so that they could be better targeted. To date though, only seven countries have fully done so. The public health consequences are as grievous as they are unnecessary. Across Europe, an estimated 54 million people cannot afford to heat their homes in winter, and the same number are either behind with their electricity and gas bills, or live in damp and leaky homes. These problems are worst in Central and Eastern Europe – affecting 73% of Bulgarians, for example – but they are also rife in countries such as Ireland and the UK. Cold homes are the second highest risk on Britain’s housing health and safety rating system, costing the NHS around €1bn per year in direct treatment costs. In Liverpool alone, a 2013 survey implicated energy poverty in 500 deaths and around 5,000 illnesses requiring medical attention. The greatest risk always falls on those who spend the most time at home – single parents, the elderly and the very young, the sick and the unemployed. The causes of energy poverty are everywhere the same: low wages, high energy bills and poor heat efficiency in buildings. As energy prices continue to rise and the impacts of austerity swirl ever more widely, this picture is unlikely to brighten without dedicated remedial action. To get the ball rolling, the European Commission has suggested applying the ‘energy poor’ tag to households which spend twice as much as the average share of their income on energy products, or those that have difficulties in paying their energy bills. This would be a good start. There is no end in sight to the spiral of energy prices and network charges. In fact, EU states’ climate change policies have come to be primarily funded by utility bills – a regressive measure that increases the risk of energy poverty for vulnerable customers. It also undercuts the ‘polluter pays’ principle and, in the long term, gambles with public acceptance of the renewables revolution. All EU citizens should be able to live in decent housing that does not damage their health, wellbeing or life chances. The key to enabling this is a focus on vulnerable households with simplified access to favourable financing and independent, supporting advice. Tailored renovation programmes under the energy efficiency directive’s Article 7 and the long-term strategies of the European performance in buildings directive could go a long way to changing the conversation about our energy poor. New money from the EU’s structural and regional development funds could translate this into action. 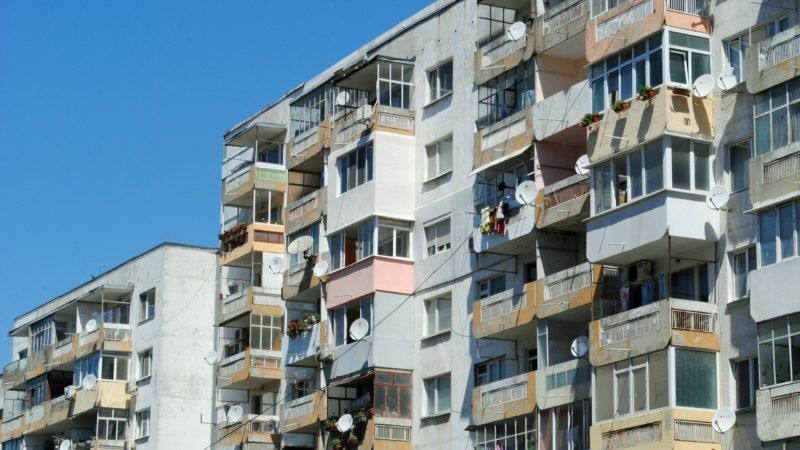 Until strong energy efficiency policies that target the worst-performing buildings are mandated at the EU level, a sustainable, widespread and long-term solution to the energy poverty will likely remain as elusive as a warm Bulgarian home in winter.